He is the first President to ever leave the country while in office. He was the first President to win the Nobel Peace Prize. He was the first President to ride in a submarine. He was the first to send a telegram as part of National Diplomacy. He was the first President to invite a black man to dinner at The White House. 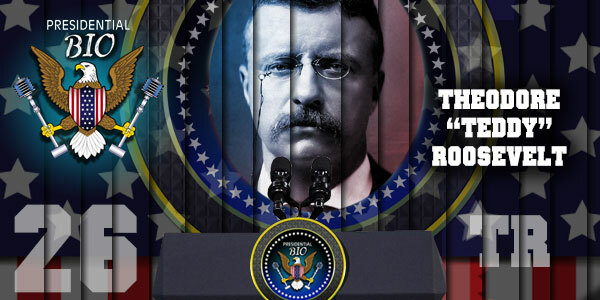 We are talking about Theodore Roosevelt, the 26th President of The United States and he is the focus of this episode of The Presidential Bio Podcast.